A few days from now, I'll be 52. For a while, I stopped on my track and the thought occurred to me "what next?". It is a loaded question because, in retrospect, it doesn't only imply, what's next to write after the line "I'll be 52" but therein lies broader sentiments which are: what to do next at 52, what is stored for me at 52, have I lived my life the best that I can at 52, am I contented at 52, am I okay at 52, am I happy at 52, am I the ME I want to be at 52. A couple of weeks ago I blogged about reinventing oneself at midlife. That article shot straight to my heart because I am in the stage of wanting to reinvent myself now I'm in my midlife. Quietly, small thoughts about wanting to do something other than my work creep into my mind. There is this nagging feeling to do something different that would set a different tone in my monotonous life. I asked myself, "is that bad? ", "am I ungrateful for wanting more than I have?". I wanted to write and there are so many ideas humming in my mind. Even in my younger days, I wrote poems and I kept a diary where I wrote my everyday thoughts. These works were for my eyes only because they are personal to me and I don't want others to know my thoughts lest they judge me for it. I am afraid of other people's reaction when they read my work so I kept it under lock & key away from prying eyes. Through the years, the yearning to write and for my writings to be read by others is just an imagined thought reinforced by my cowardice and fear of rejection. I am just a nobody in the writing world, who would be interested in what I would write. I have a few friends & acquaintances, even my social media account bears a few numbers of friends. Whenever I post something in my social media page it garners a few likes mostly by my kids & husband! But on that fateful day in May, I mustered enough courage and just typed away on the keyboard of my computer. Letters formed to words, words became a sentence, sentences flowered to a paragraph and finally, paragraphs bloomed to a full article. I read it for final editing and I just clicked the button publish without any hesitation. Gasp! I clicked "publish", I did it! No ifs no buts, just let go! It was like giving birth, you don't remember the pain only the freedom from pain and the happiness of seeing your baby. The first article that I published in Blogger was my "baby", I'm proud of my baby, and I'm extremely happy for myself. I freed myself from cowardice, from fear of rejection and from lack of self-confidence. Blogging became a means of catharsis for me. It released me from the fear of rejection and gained me my self-confidence. Before, I was afraid to let people even loved ones in my mind. There are things, thoughts, sentiments, I'd rather keep to myself. Now, by blogging I had opened my heart, my mind, my soul to thousands of readers. I had let them into my guarded thoughts and ideals. I am a living testimony that we can reinvent our self at midlife. We can pursue our dreams from our younger days. Living in this world for half a century is just amazing and it is actually a culmination of a new beginning. Our life has not ended at 50, it is the start of a new adventure. 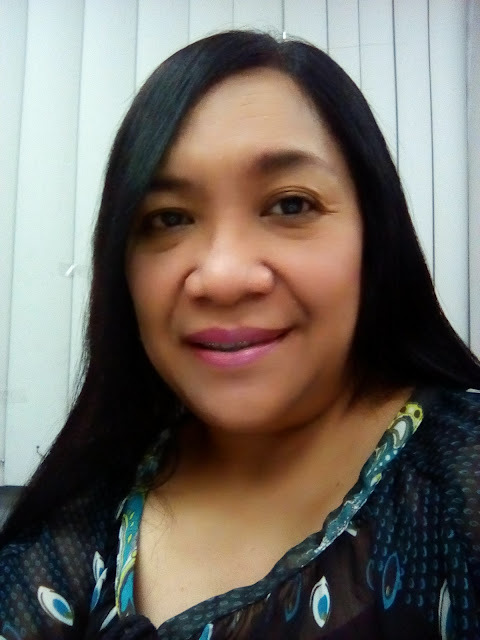 I am grateful to our Maker that he gave me the grace to grow older with my husband for 29 years and to be the mother to my 3 daughters and 1 son. Today, my blog reached 8,000 page views after 1 month and 3 weeks of inception. Quite a modest number but I am happy, I am grateful for having the opportunity to have my work read by other people.